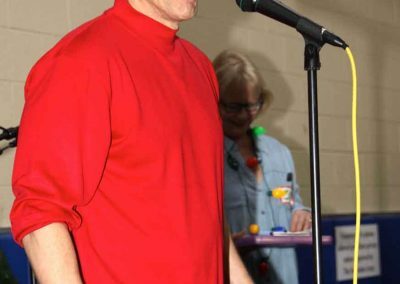 It was the 20th anniversary edition — and what a party it was. 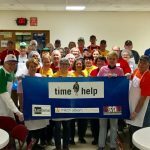 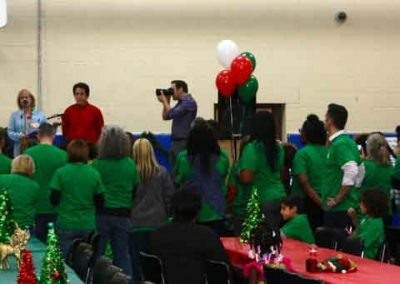 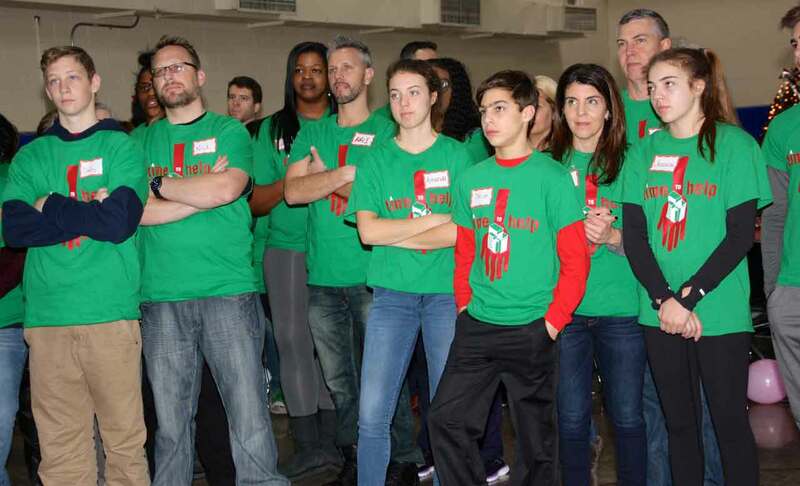 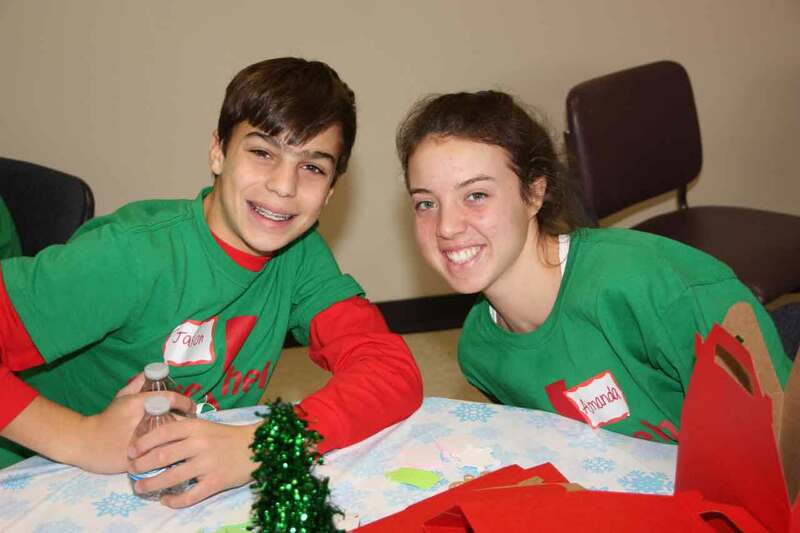 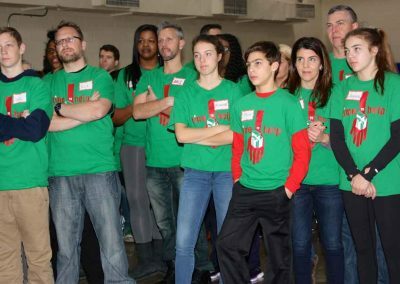 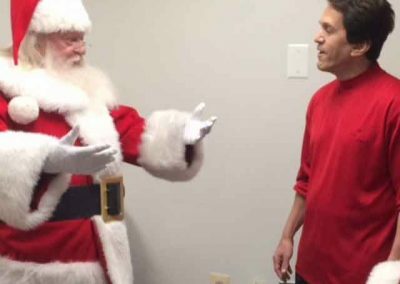 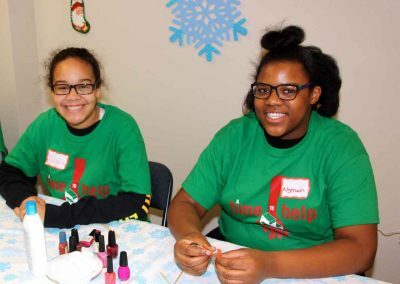 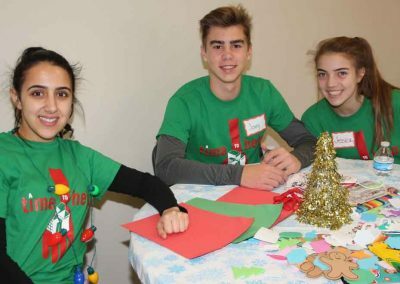 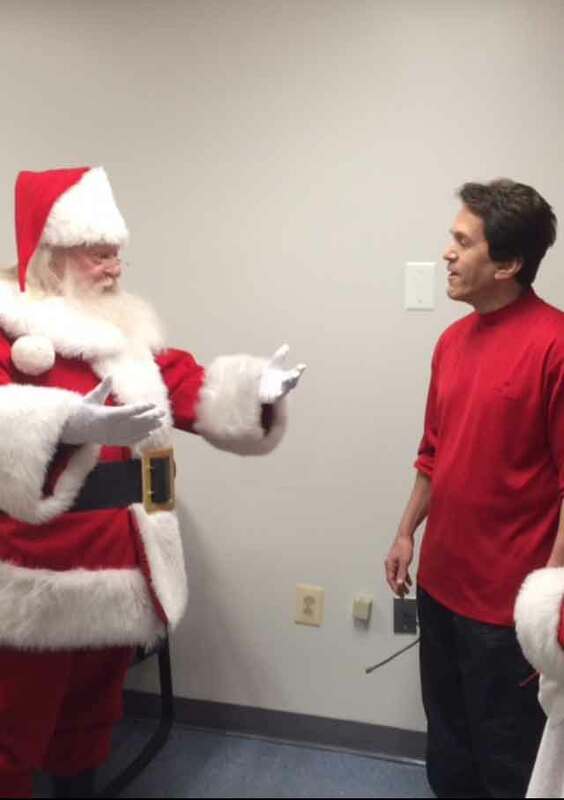 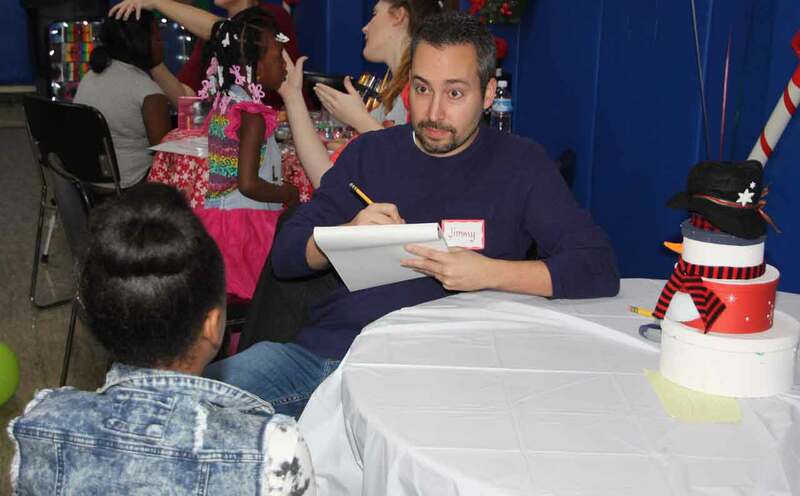 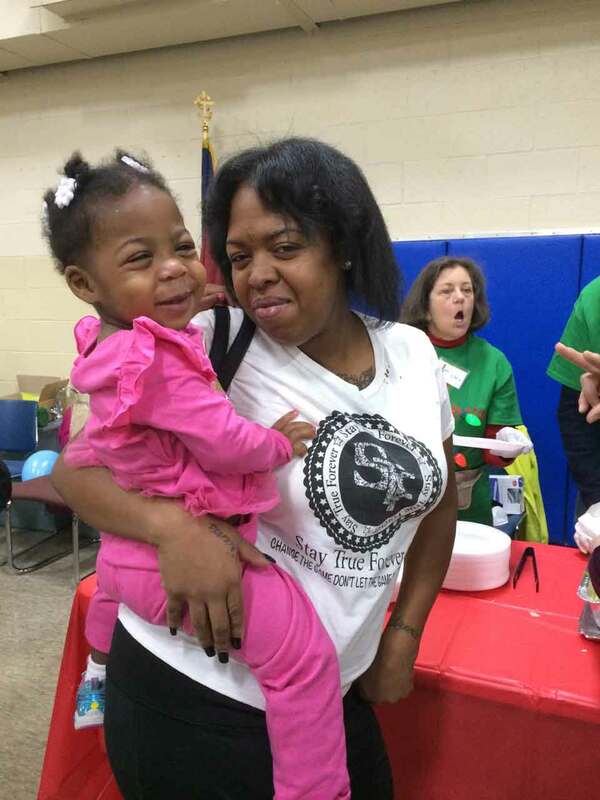 More than 80 A Time to Help volunteers helped make Mitch Albom’s annual S.A.Y. Detroit/The Salvation Army Christmas Party for shelter residents and their children a morning to remember. 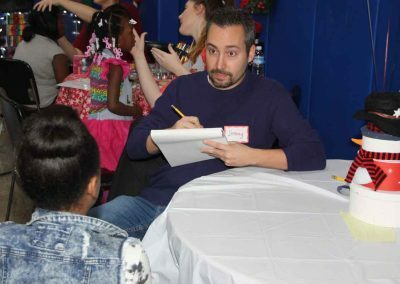 Led by Albom and Ken Brown, Albom’s radio show co-host, the event on Saturday (Dec. 2) at The Salvation Army Harbor Light in Detroit was filled with merry making and smiles, thanks to a plethora of activities, food and fun — all supervised by ATTH’s largest volunteer core of the year. 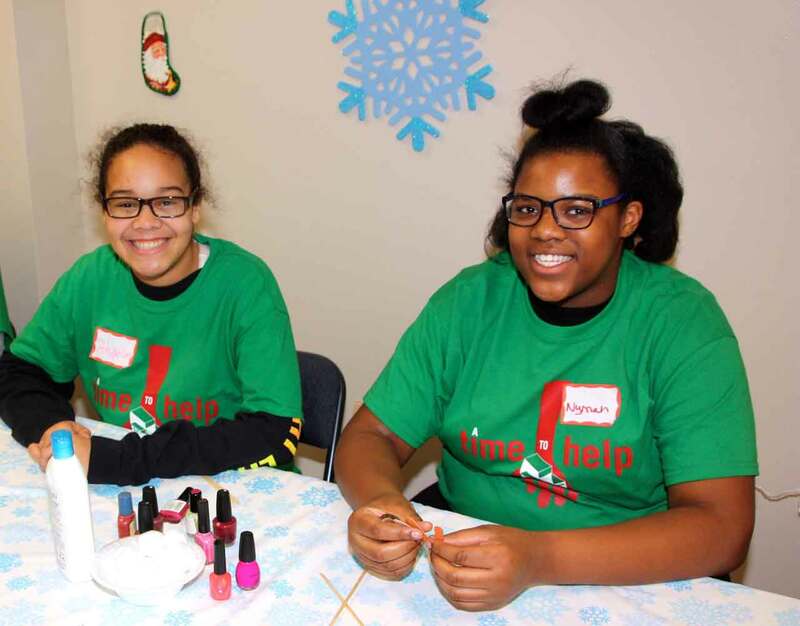 Elaine Marion, director of shelter operations at Booth’s women and children family shelter, estimated that the party drew nearly 200 guests — 60 from the campus shelter, and dozens more that were transported to the Ellen A.Thompson Center from The Salvation Army’s partner operations. 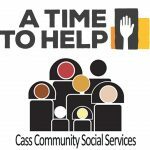 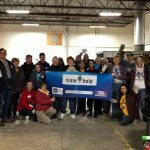 The party has grown considerably since those early days, a coordinated effort led by S.A.Y. Detroit staff and dedicated ATTH volunteers including Brown, Chris Johnston, Chris Desnoyer, Ruma Barua — and, literally, dozens of others. 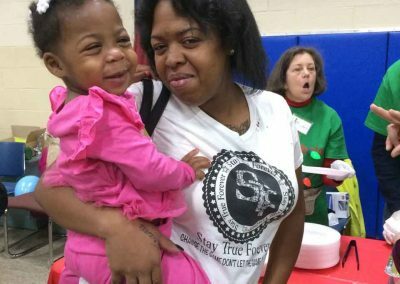 A holiday store staffed with volunteers assisted mothers in shopping for pajamas and toiletries. 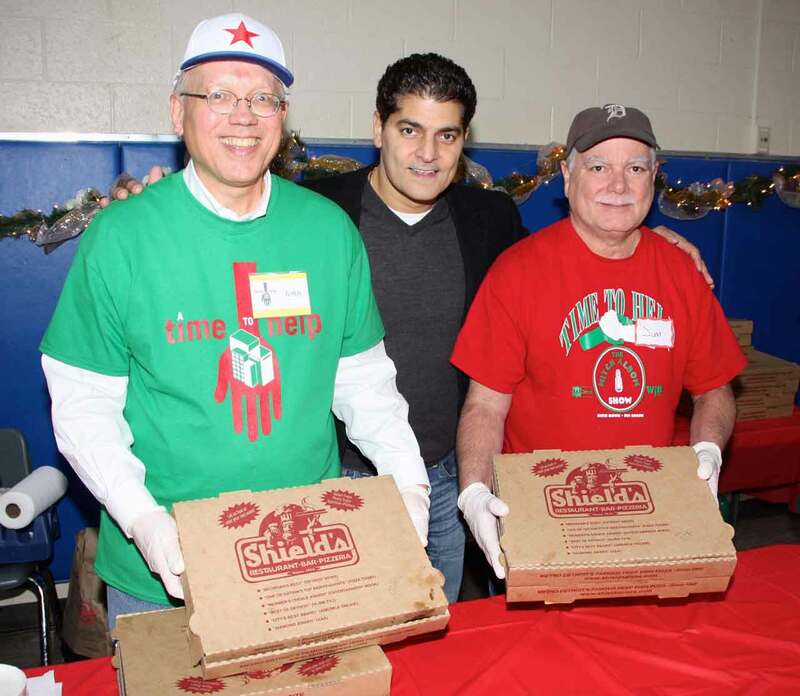 The guests were treated to two meals, a continental breakfast and a pizza party sponsored by Peter Andoni and Shield’s. 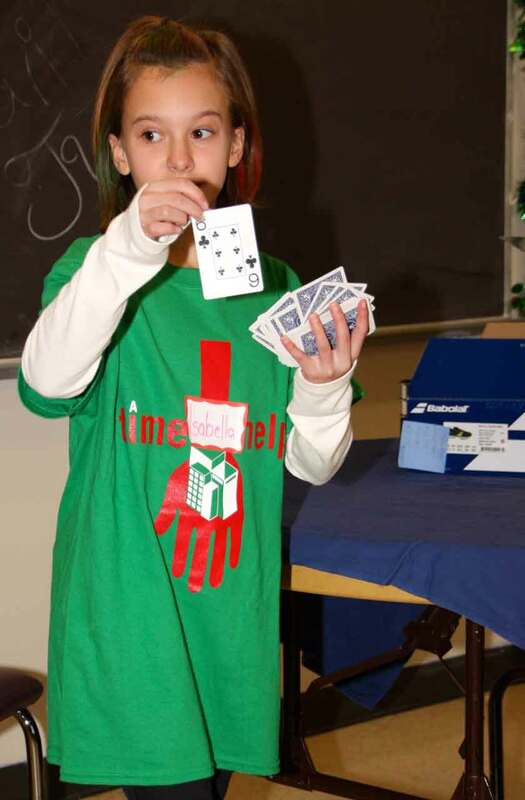 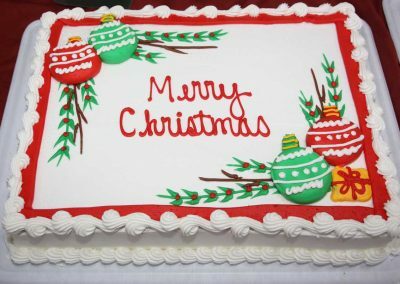 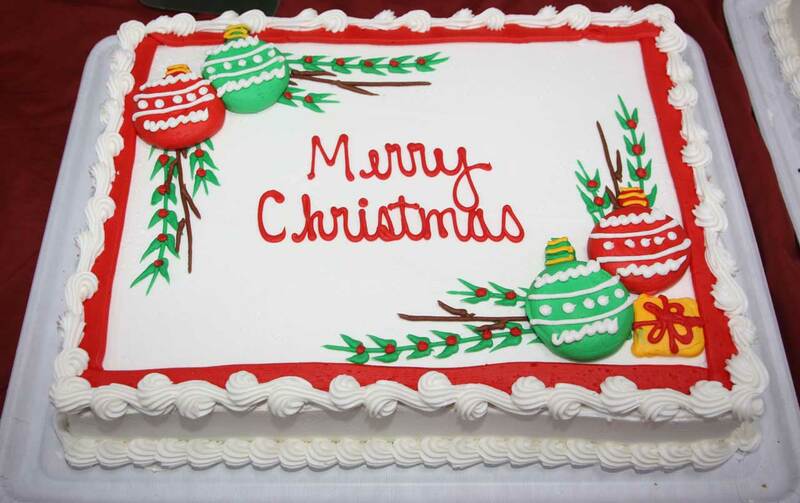 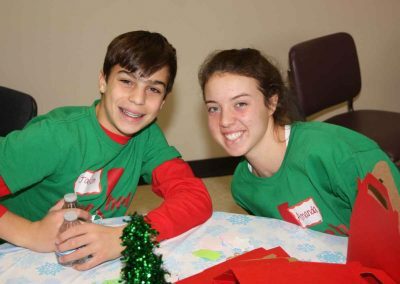 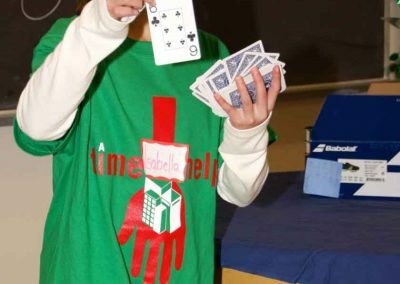 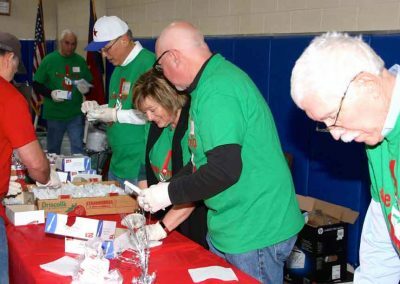 Other activities included games, dancing, face painting and caricature drawings in the gym; five performances by an 11-year-old magician; a children’s crafts room; a relaxation zone for moms to receive manicures and massages, and an appearance by Santa and Mrs. Claus and their elves, who delivered toys to the children. 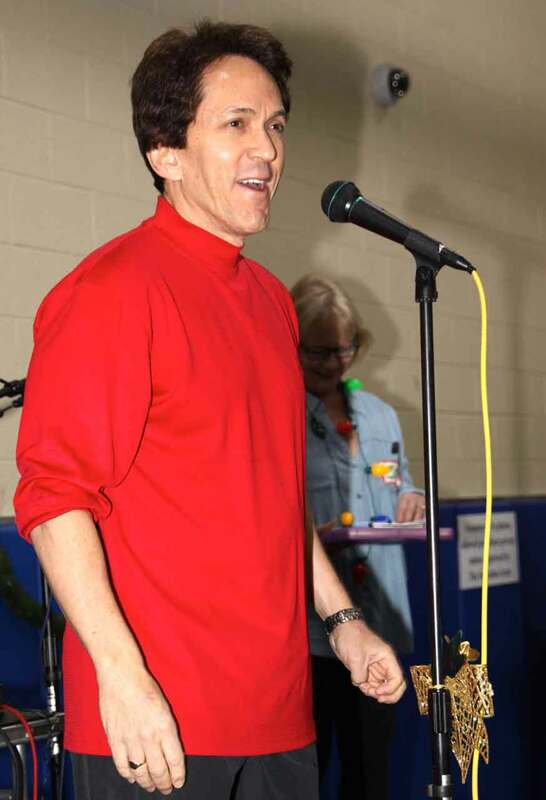 Highlighting the event was a special gift to Albom: A group of children from the shelter took to the stage and sang the first verse of “Silent Night’’ in memory of Chika, the child from Albom’s Have Faith Haiti Mission whom he and his wife Janine took care of as she battled a rare form of pediatric brain cancer. 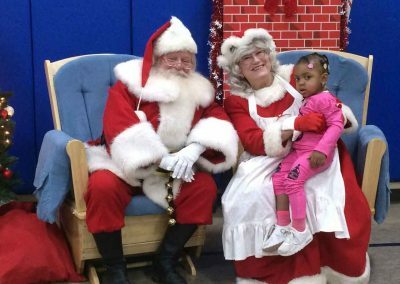 Chika attended two Christmas parties at the shelter; she died last April at age 7. 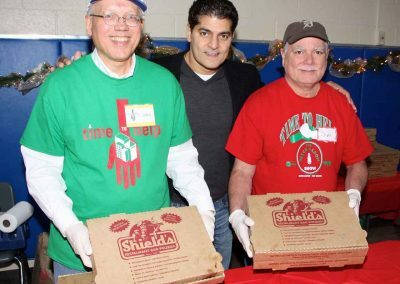 S.A.Y. Detroit is grateful to so many people who donated their time and professional services, and to its sponsors, including Shield’s Pizza, Costco, Kroger, Bruegger’s Bagels and ice-cream supplier Paul Palozzolo. 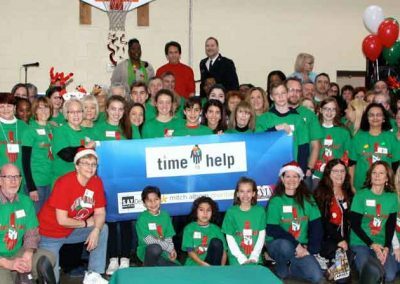 We also thank The Salvation Army, with a special shout-out to Elaine Marion and Capt. 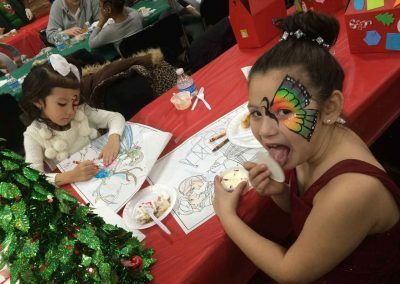 Jamie Winkler for their hard work and support to make the 20th holiday party a wonderful experience for their clients and guests. 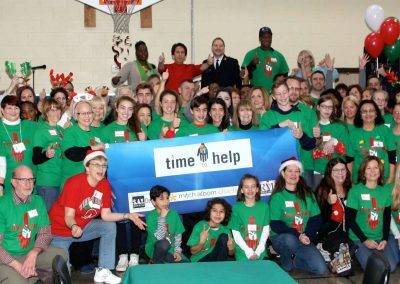 Happy Holidays everyone – and thank you for your gift of giving.